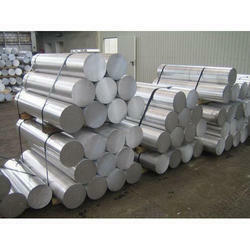 Comprehending the changing needs of our customers, we are offering an unbeatable consignment of Aluminum Round Bar. Appreciated for their high performance, ruggedness, reliability and fine finish, these offered products are highly demanded. Besides this, these are well checked before getting shipped at the end of our customers. 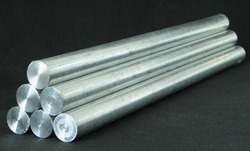 These Aluminium Round Bars are mostly used as electrical conductors and are recyclable. We are providing this Aluminum Extrusions from the reliable source of the industry as per as the international quality standards. Offered the Aluminum Extrusions is widely used to manufacture various components used in automobile, electrical, construction and other engineering industries. Swadeshi Aluminium Company Pvt. Ltd.
With our rich expertise, we are offering a quality range of Aluminum Billets that is mainly used for various architectural purposes, building & construction, electrical and mechanical engineering works. These are appreciated for being in compliance with tolerance parameters and high dimensional accuracy. The company is the well known Aluminum Round Bars Supplier in India. The demand for our Aluminum Round Bars has gradually increased over the years, owing to their top class quality and better durability. The company provides the Aluminum Round Bars at reasonable prices. Importers of various metal scrap, scrap ships, cable scrap, industrial scrap, obsolete scrap that includes aluminium scrap, copper scrap, steel scrap, motor scrap, brass scrap and iron scrap.